The ESAM3300 is known as a Super-Automatic for good reason. 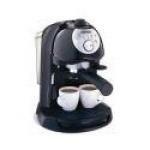 This style of machine is designed for absolute push-button convenience when preparing Italian coffee drinks. 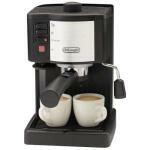 For those seeking espresso style drinks on a budget, DeLonghi has the machine for you. Although not up to the professional quality of their more commercial machines, this promises to deliver a decent cup at a modest price. The DeLonghi Espresso and Capuccino Maker comes equipped with a self priming pump and stainless steel boiler which makes one or two shots at a time. The sempre crema filter holder will create authentic crema with just the right color and thickness. This is a very smart little oven for your kitchen counter from DeLonghi in Italy. It has a very quick heat up time and simple digital controls, with a large easy to read display. This nice little grill allows you to make pressed Italian panini sandwiches easily in your own kitchen, or cook meat or vegetables. The hinged top allows you to cook food of any thickness and the nonstick bottom plate is angled to drain off oils and grease as your food cooks. This is a fully automatic toaster from DeLonghi. That means you just set the bread into the slots and the toaster activates, lowers the bread and toasts it to the preset darkness, and raises it back up with a beep to alert you that its ready. Let's face it: One of the benefits of life in the twenty first century has got to be the astounding selection of high-tech devices all designed to make a slice of bread hot and crunchy. Ah, the future. This coffee maker has a lot of special features?but most of them aren't features that I find that useful. This is a mammoth-sized coffeemaker. 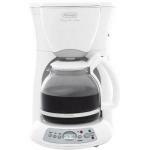 It has lots of bells and whistles: a timer so you can make up-to-the-minute fresh coffee, auto shut off (a must for me), plus a permanent filter (another must). It would be great for a large family or in an office environment. First, there are separate thermometer controls for steam and water pressures. Achieve the perfect temperature no matter which beverage you choose. 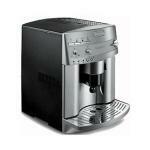 Additionally, there is an adjustable steam emission for cappuccino.